Our dues are $8 per member; we encourage parents, students, grandparents, neighbors, friends, and anyone in the West Creek community and beyond to join. Did you know every PTA is a 501(c)(3) nonprofit organization? Becoming a PTA member is a cinch, and you can do it conveniently online. Register or Login – Create an account so you can login later to access member benefits and modify your preferences. You can register with an email and password, or with an existing social media site such as Facebook. Add Additional Members – As the primary member you can add/register additional members when you join. Each member will receive member benefits and may choose to register later to create their own management accounts. Payment Information & Checkout – New members can choose from a variety of payment methods including credit card, debit card, Apple Pay or Google Pay. If you are an existing user, you can select a previously entered payment method without having to re-enter details. Viewing your Membership – Once checkout is completed, you can view your Membership page. This provides key information about the association as well as membership details such as your unique member number. You can also download your new membership card, view benefits, payment history, and encourage others to join by sharing on social media. The entire process uses secure web pages (HTTPS) so all data transmitted over the internet is encrypted. Show off your 2018-19 PTA membership! 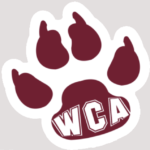 Everyone who joins WCAPTA this year will receive a WCA car decal (sticker). If you join prior to (or while at) BTSN, simply show your membership on your phone to receive your decal (we will also have a list). PTA invites you to join us to make a difference in the education and quality of life for all children. We realize how important your children are to you and that you want the best for them. Get connected. There is no better way to know what's happening at West Creek Academy. Speak up. PTA is a forum for exchanging ideas, and as such, you are encouraged to make suggestions and brainstorm ideas to improve the programs at our school. Help your child succeed. PTA fosters parent involvement. Research has proven this to be the greatest predictor of student success. Be a role model. By becoming a PTA member, you demonstrate to your child the importance you place on education. We are super excited about all the wonderful things we have planned for our students this school year, but we need your help in order to make everything happen! We are asking each West Creek family to take a moment and join PTA. It's a small cost for each PTA member, but it is huge benefit for West Creek PTA and for the school! We are taking part in a new online Membership program this year, which we think will be much simpler than in the past. 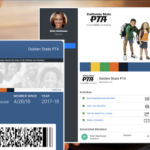 Details on how to use the new system can be found on our Join PTA page.